If you suspect your child might have a developmental delay it is important that your child is evaluated to see if they would benefit from early therapy services, sometimes referred to as early intervention. Many outpatient therapy clinics offer free screenings to assess a child’s development. During a screening, a physical, occupational, or speech therapist may spend approximately 15 minutes assessing your child. At the end of a screening, the therapist will determine whether a full evaluation would be beneficial. If a full evaluation is suggested the clinic’s staff can typically provide further information on billing, insurance coverage, necessary referrals, and more. All states offer services that help children with developmental delays. Typically, these services include physical, occupational, and speech-language therapy and are offered to children less than 3 years of age. The amount you pay for these services varies from state to state. Some states cover 100% of the cost while others only fund a certain percentage. Each state has its own set of criteria to determine if a child qualifies to receive services. Your child’s healthcare provider can refer you to your state’s early intervention office for an evaluation or you can contact your state’s early intervention office directly to get further information. If your child qualifies, therapy sessions would be offered in the child’s natural environment, e.g. your home, school, etc. Search online to find your state’s office, or call your healthcare provider or local hospital for the agency’s contact information. Remember: if you suspect a delay, don’t hesitate to act right away. Early detection and treatment are essential to helping your child reach their fullest potential. 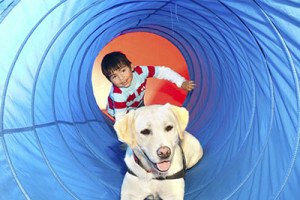 Learn about how animals can be used in physical, occupational, and speech therapy. 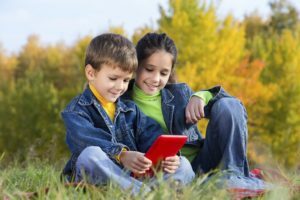 Learn how children with language and speech delays & disorders can use alternative forms of communication to interact with others & express their needs.